Member engagement: Keeping your members engaging with your facility is fundamental to your success and plays a huge part in member retention. The importance of keeping a continued conversation between member and club really is one that shouldn’t be disregarded. That’s why we’ve put together out top tips to help you keep your members engaging with you on a regular basis. It is really important that you are on social media platforms. At the very least you should be on Facebook. Facebook is still one of the top social platforms and has around a billion users in the UK alone! The chances are, nearly all of your members will have an account! But what should you be doing on social media? Sharing everything about your facility! Your full facility information should be easy to find and if anything changes temporarily, perhaps you are opening different hours due to a bank holiday, this should be posted several times leading up to that date, utilise the information sharing platform. Events. Any special nutrition talks or fitness events you may be holding should be heavily publicised on social media, especially if they are open to the public too. New staff. It’s a really nice idea to introduce your new staff to your members and social media provides a nice and light hearted platform to do this. Advice. 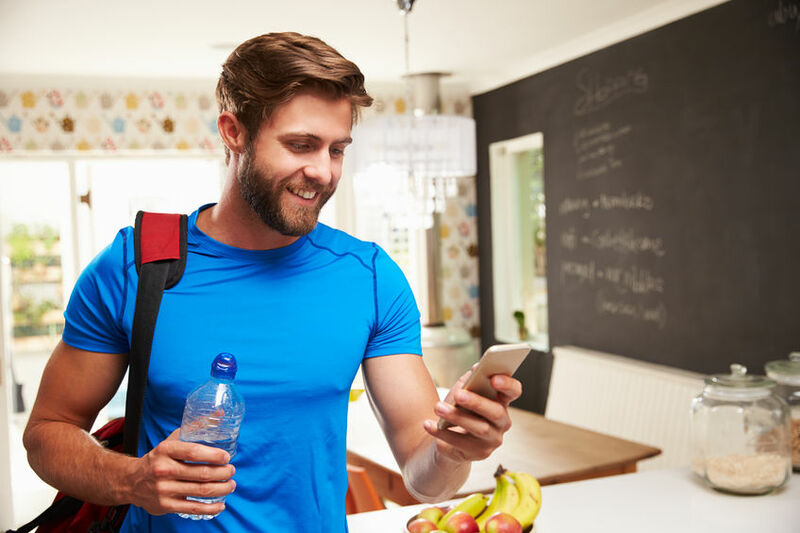 Keep members informed with everything health and fitness related. Been browsing an awesome leg day routine? Share it with your members. If you enjoyed it, they probably will too. You should set yourself up as a knowledge-base, sharing handy hints and tips to fit all goals and motivations. Running competitions is a great way to keep your members engaging with you. These can be run through multiple channels and have multiple purposes. For example you could run a referral competition, encouraging members to refer as many friends as they can before the end of a month. You can promote this competition throughout the club using posers and leaflets. You can also encourage members to take part via social media. Competitions such as this will not only encourage conversation between member and club but also member and community. You could set a series of member challenges, such as the fastest 5k on the treadmill, or most pull ups performed in 1 minute. These will be great for getting members engaging with staff and other members alike. Offering a low value prize is also a fun incentive. You should keep your members up to date via email and the occasional text. Although we don’t recommend texting too often as this can sometimes seem a bit intrusive, unless of course they contain helpful information. Emails are a good way to communicate information and news. They are also a great way to send a reminder about any competitions or events you may be running. Posters allow you to keep the conversation going in areas of the club where staff cannot. For example, in the changing rooms or bathrooms it’s a nice idea to have a poster about your facility. This doesn’t have to be one that is selling something. It would be nice to promote parts of your facility that have undergone some improvement or had some money spent on them, for instance you may have kitted your spin studio out with brand new bikes. Members will be pleased to see you putting money back into the club and enhancing your offering. Go on, have a chat. Take interest in your members, their goals and anything specific they may be training for. It’s really nice to build up a rapport with your members, this way they will feel comfortable to tell you if anything is wrong with your facility, or if they are feeling let down by anything. It’s also a good idea to feedback information collected from members, in team meetings. This way you are able to keep up with everything that is going on. You must keep your membership demographic in mind. Tailor your methods to fit them. One size really does not fit all. Keep track of what has been successful. If you haven’t had much take up on a certain activity, then it probably isn’t worth doing the same again!